If you are approaching the end of your membership term, you can easily renew your membership online. Click on My Profile under the My Options drop down near the top right of the site. Please also note that 60 days prior to your membership expiration, you will see an automated message when you login to your account and if you click the link in the automated message, you will instantly land on step 4 above. In My Profile, from either the Profile or Membership tab, you can then select "Add Individual Membership" from the Actions drop down menu. Once you select "Add Individual Membership" you can then select the appropriate membership type you would like to renew as. Your current membership type will default as the selected option. Please note that 60 days prior to your membership expiration, you will see an automated message when you login to your account and if you click the link in the automated message, you will instantly land on step 3 above. 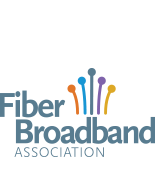 If you have any issues or questions regarding your Fiber Broadband Association membership renewal, please contact us.